Madan is a native of Thailand. 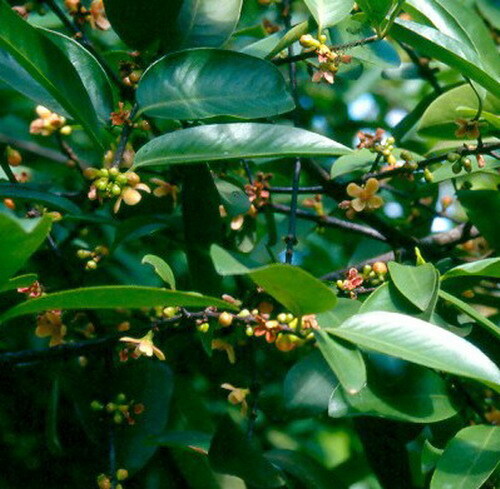 It is found growing wild there in lowland and swampy areas of the evergreen forests in Central and South Thailand. The fruits are consumed by local people in various ways. Madan fruits are mostly gathered from wild growing trees but some trees are also planted by people around homes. Madan is, however, not grown on orchard scale. Leaves dark green, opposite, lanceolate, 9 cm long and 2.5 cm wide. 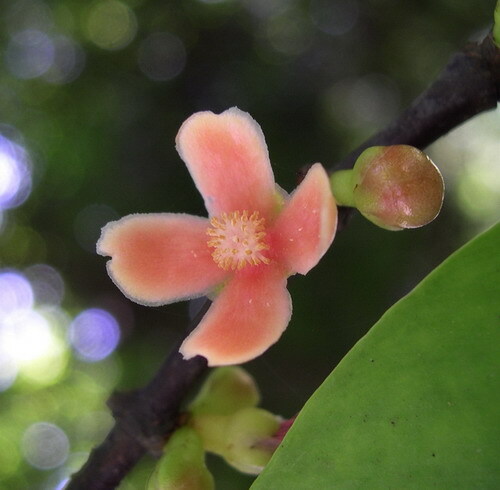 Flowers borne in clusters of 3-6; petals 4, somewhat pinkish in colour, 3 mm wide and 6.5 mm long. 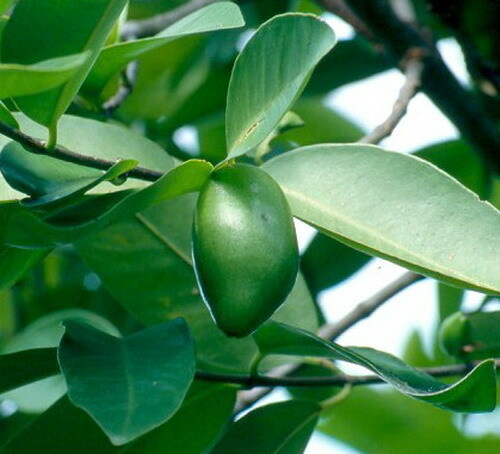 Fruits ovate to oblong, 5-7 cm long, and 2-3 cm wide, shiny green at maturity, taste sour. Madan fruits are very rich in vitamin A and calcium. Since the fruits taste quite sour, so it is not easy to eat these fresh. So these are used in side dishes, salads and made into sauces. The fruit of madan is also processed to make preserved fruit in syrup, pickled fruit and dried fruit. Fermented fruit is stuffed with minced pork to make a soup, or it can be made into a sweet. Yound leaves of are served as a vegetable accompaniment to many Thai dishes and can be eaten either raw or cooked. The tree likes humid conditions and wet soils. 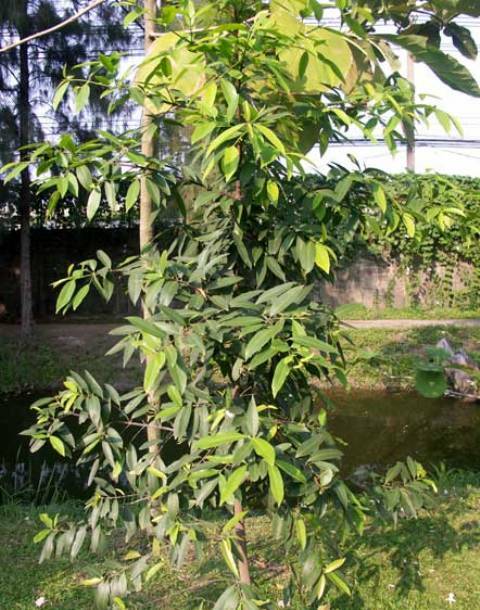 The tree can be propagated from seed which germinate readily. It is also possible to raise new plants of madan by air layering.